This week, in the heart of the Cape Verde Islands off the northwest coast of Africa, Ponant’s oldest and newest ships, Le Ponant and Le Champlain, passed each other on their way to their next destinations, providing Ponant a rare opportunity for an historic photo. Le Ponant, the company’s emblematic yacht, has been sailing the world for almost 30 years, while Le Champlain, the second of six new luxury expedition ships in Ponant’s Explorer series, left Sovik Shipyard in Norway on September 27. 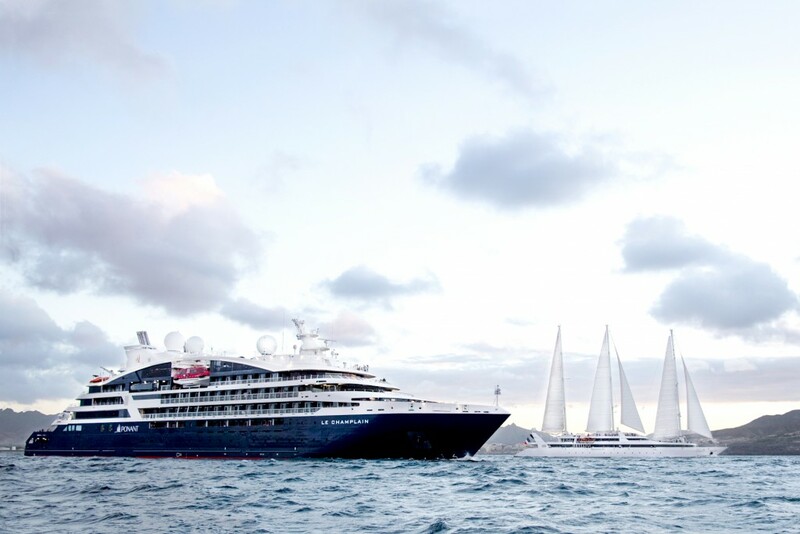 After the photo, Le Ponant was setting sail west, to cruise throughout the Caribbean until the beginning of April. Le Champlain is travelling further south for its maiden expedition cruise along the Amazon River from Manaus to Cayenne. Its next cruise passes through six different countries, including an expedition along the legendary Orinoco River. Le Champlain’s sister ship, Le Lapérouse, which also launched in 2018, is coming to Australia in January to commence her Oceania cruising schedule through sub-Antarctic islands from New Zealand, then to Melanesia in late autumn, cruising the Kimberley in our winter months and off to Asia in the spring. Travel Weekly will review Le Champlain in our print magazine early next year. At Travel Weekly our WIFI is so limited we’ve employed an intern whose only job is to try and crack our neighbouring offices’ WIFI passwords.